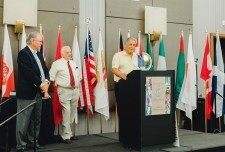 CHATTANOOGA, Tenn., October 18, 2018	(Newswire.com) - Ohio businessman Ted Durig was honored with the Dave Jones Leadership Award given to an experienced towing industry leader who has demonstrated leadership, dedication, character and vision, among other qualities, during a special ceremony held in Chattanooga. 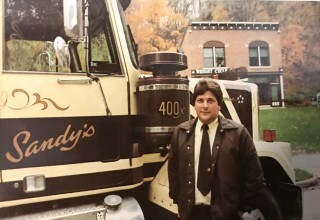 Durig is the founder and owner of Sandy’s Towing of Dayton, Ohio, one of the largest towing and recovery companies in the nation. He is only the fourth person to be recognized with the Dave Jones Leadership Award, following Randall Resch of California (2017), John Glass of New Jersey (2016) and Betty Cornwell of Maryland (2015). He has made tough decisions that were a gamble and very risky. These risks have almost always panned out to be successful, becoming catalysts for growth for Sandy's. Durig has cultivated success by being a calculated risk taker, accumulating over 200 pieces of equipment, inking contracts with law enforcement agencies and handling 80,000 calls a year. Compared to when Durig started out straight out of college, the towing and recovery industry is changing, with bigger companies and more sophisticated operations, he says. Gone are the days when gasoline service stations also offered towing. Today, towing is an industry unto itself. 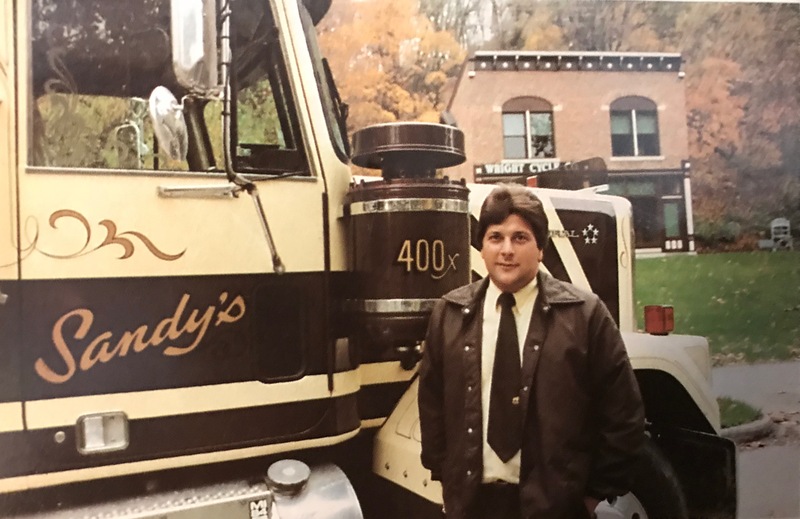 He became a business owner at the age of 22 when he and a partner bought Sandy’s Towing, which had “three, tired one-tons and a much used 600” at the time, according to a Tow Times article dated December 1984. In all, Durig has invested over 45 years in the towing and recovery industry. The Dave Jones Leadership Award was created in 2014 by TT Publications Inc., publisher of Tow Times magazine, and the Dave Jones family to honor the late Florida towing and recovery icon who pushed to professionalize the industry. Each year the award winner is chosen by the Dave Jones family.